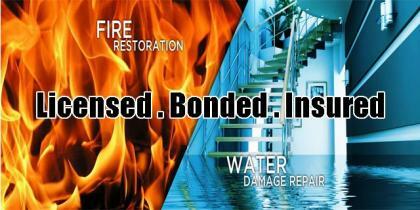 Reputable Water and Fire Damage ReconsManaging this licensed restoration company is definitely a rewarding experience, most especially if you are able to help numerous families with their broken and damaged household items caused by water or fire-related catastrophes. This bonded and insured business has become a fast-growing franchise since it was established two years ago, in the major area of Ottawa. Some of the residential and commercial services it offers are water removal, mold growth control, carpet salvaging, roof repair, dehumidification, property disinfection and more. It has established a name that you can trust in the water and fire restoration business, not only across Canada but also in the United States. Their line of experienced management team and dependable subcontractors have always exhibited excellence in their work. They never fail to provide top-quality customer service to all their clients. In this industry, cleaning up the aftermath is not an easy task. You need your staff to be dedicated, diligent, on-time, well-trained and quick-witted. Supervising employees will never be a problem once you have decided to commit and invest into this firm. Engaging in a restoration business opportunity could entail a lot of ongoing work that need to be accomplished as soon as possible within a certain period of time. Rest assured that all the processes involved in running this company is already established. Thus, it will be easier for the new owner to supervise the team without going through formulating policies and procedures since they are already all in place. In addition to the existing workforce and processes, this venture comes with a well-maintained office location and spacious storage premises that have reasonable rental fees. You also have the option to buy this property from the current owner at a negotiable price. However, for no extra cost, you will be able to take advantage of the innovative marketing campaigns through the company’s website created by the owner. In this way, you intensify your presence through online advertising, eventually gaining more connections that could turn into prospect clients. By the way, pieces of office furniture and fixtures are included in the business package amounting to $75,000. The restoration industry is described to have a highly technical and competitive market. But with the company’s established brand and the way it provides its patrons with unparalleled commitment and level of service, success is definitely guaranteed to the new owner. There is also a high level of customer satisfaction that makes old customers stay loyal to the company and entice new customers to patronize the various services. Apart from such aspects, the firm is also strategically located in the vicinity. This company has experienced a steady increase on its revenues for the past years. Major factors that have contributed to this growth is a protected marketing territory and customer satisfaction. With a creative mind in crafting attractive advertising and promotion deals, your network clientele will surely expand. There will always be customers who require highly trained specialists to handle critical situations after a catastrophic event has damaged their priced possessions. Moreover, financing is offered by the current owner. There is a considerable number of well-trained and reliable employees who are willing to support the new owner. On the other hand, subcontractors are all licensed and insured. To ensure a smooth transition and continued success of this business, the current owner and the existing staff will provide a comprehensive training package for a few weeks. After sales support will also be available to make sure that the company is still able to provide first-rate quality services.